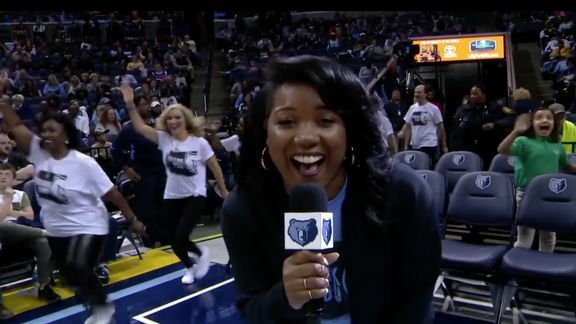 Watch the sassy seniors of Grizz Nation bust a move at FedExForum. The Blue Bunch performs at FedExForum. Digital Content Reporter Alexis Morgan goes behind the scenes with the Claw Crew. Digital Content Reporter Alexis Morgan takes you behind the music of the Memphis Grizzline during the 2017 NBA Playoffs. Dustin Starr checks in with Grannies and Grandpa auditionee on what he can bring to the team during the 2017-18 season. Dustin Starr checks in with Grannies and Grandpa auditionee on what she can bring to the team during the 2017-18 season. 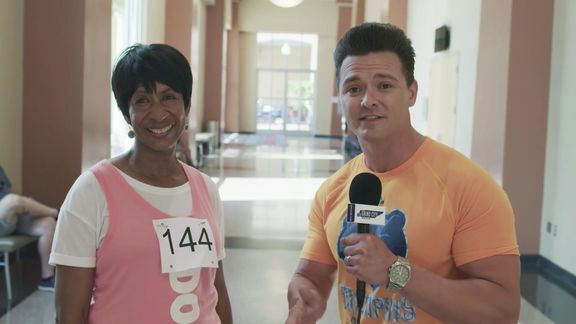 Brandon Johnson checks in with Grannies and Grandpa auditionee on what she can bring to the team during the 2017-18 season. Dustin Starr checks in with Claw Crew auditionee on what he can bring to the team during the 2017-18 season. Dustin Starr checks in with Claw Crew auditionee on what he can bring to the team for the 2017-18 season. The Memphis Grizzlies will host open tryouts as they search for the next performers to join their live entertainment teams. Like the Grizz Girls, Grizzlies’ live entertainment squads will perform at all Grizzlies home games and represent the team at promotional and community events in the Memphis-area and regionally. 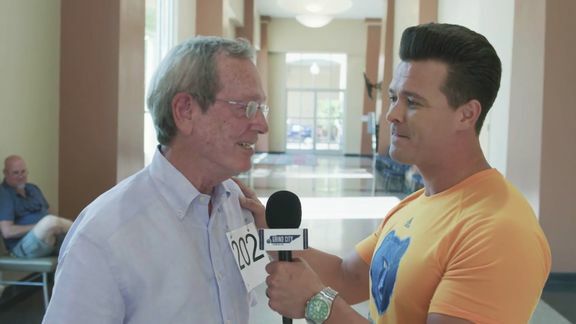 An open casting call is out for performers of all ages and backgrounds for the following groups: Grizzlies Grannies & Grandpas, Grizzline, Blue Bunch and the Claw Crew. 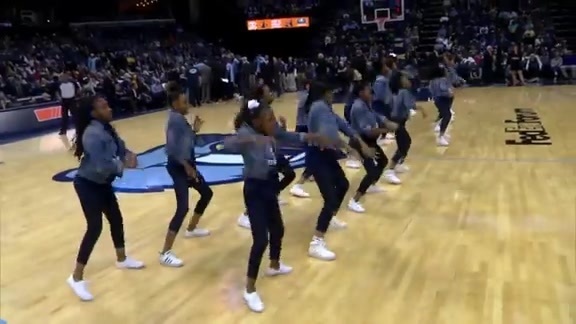 The Grizzlies Blue Bunch is a group of entertaining youths with unbelievable dance skills. The team performs their unique dance style with energy and excitement at select Grizzlies games throughout the season. Don't let their age fool you. The Grannies & Grandpas are an energetic bunch of ladies and gentlemen and they can move. Sure, they are up there in age, but they are also up there in energy! The Grannies & Grandpas entertain arena audiences with dance routines that keep the crowd excited during timeouts, between quarters and selected halftime intermissions. We are looking for the sassiest Seniors in the Mid-South! If you’ve got a big personality, loads of stamina, and a great sense of rhythm this is the team for you! Must be at least 50 years of age to apply. With their rockin’ rhythms, the Grizzlies Drumline consists of a group of young drummers and percussionists who provide the beat to captivate the audience. Complete with Grizz gear and retro shades, these musicians get the crowd going during select timeout and halftime performances throughout the season. This rhythm rocking squad is in search of the best Drummers in the region! Grizzline is seeking gifted musicians who’ve got the chops to captivate our crowd. Must demonstrate a high skill in percussion and be able to combine it with creative footwork. Must be at least 18 years of age to apply. The always energetic and eclectic Claw Crew provides assistance with all promotions by firing t-shirt cannons, dropping FedEx parachutes and helping fans stay pumped up throughout the games. This high-energy group gives fans a chance to interact with the staff and win special prizes with entertaining, and sometimes incredibly silly, games during various timeouts. Dynamic Entertainers Wanted! Seeking HIGH ENERGY individuals to keep Grizzlies fans pumped at games and events. Must have strong social skills, have a flair for the dramatic, and a dynamic personality. If you have magnetic charisma, and think you have what it takes to charm our fans, we want to meet you. Special talents including: Dancing, Tumbling, Stunting, etc. are a plus!